Apple just announced the latest version of their operating system for iPhones yesterday at the WWDC, and the new changes are lighting the web ablaze in controversy. It seems that the changes are so polarizing that there is still no general consensus on whether or not these changes will propel Apple back to the forefront of innovation or destroy all the momentum gained up to this point which ultimately could bring about the demise of Apple. Now, people have been proclaiming “Apple is Dead!” anytime they release a brand new unfamiliar product to the marketplace, but oftentimes Apple products end up becoming the new gold standard despite all of the initial doomsday predictions. That being said, at the risk of being a complete hypocrite, it does feel that the release of iOS7 may not follow this trend and may actually set Apple back. 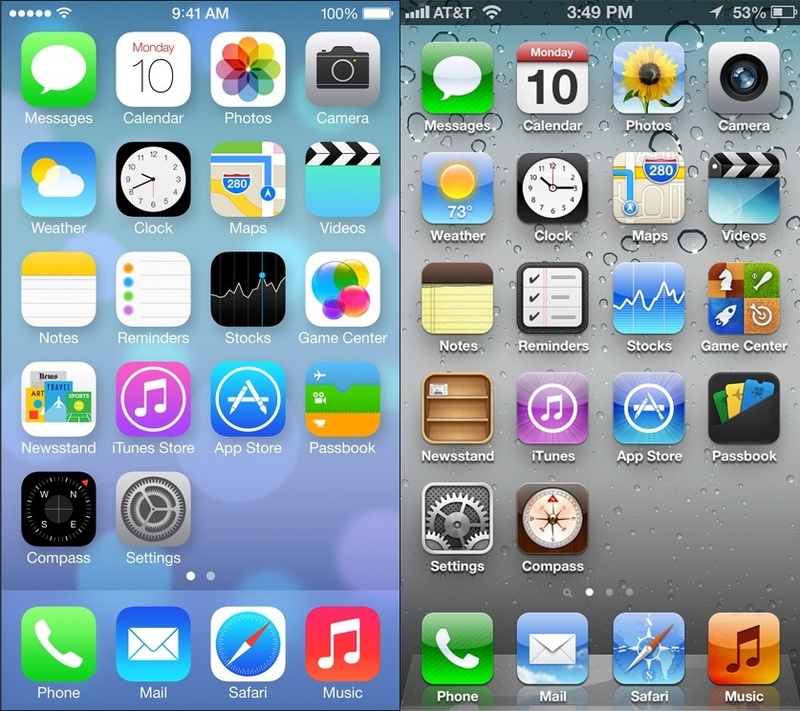 Here is a picture of the homescreens of iOS 6 and iOS 7 so you can see for yourself what the differences are between the two operating systems.